When I started eliminating dairy from my diet, I started recipe development for dairy-free smoothies, and I made a list of where I could buy dairy-free drinks in a hurry. Thankfully, Jamba Juice makes vegan smoothies and juices. And, my favorite Jamba Juice is vegan without any modifications. The apples ‘n greens smoothie is a blend of bananas, mangos, peaches, and apple strawberry juice. 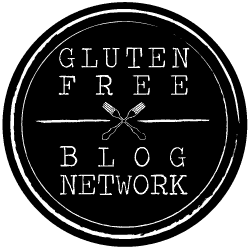 Are you looking for more gluten-free guides? Check out these posts!